My husband found Ruffles Flame Grilled Steak while in Montreal this month, May 2015, and today, I tried it for breakfast. I saw photos posted on Ruffles Facebook page around mid April. 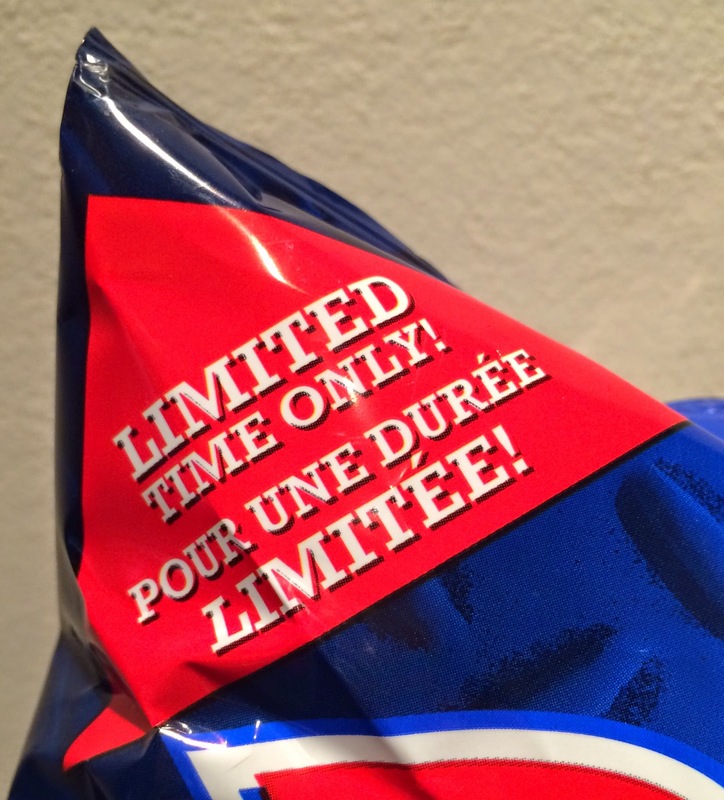 On the left top, "Limited Time Only"
The bottom half was a picture of wavy potato chips and steaks. 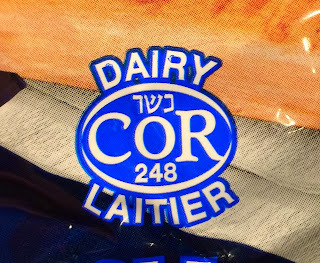 As it uses butter, it says "dairy/laitier" at the bottom. On the back, there're descriptions of the flavor in English and French. 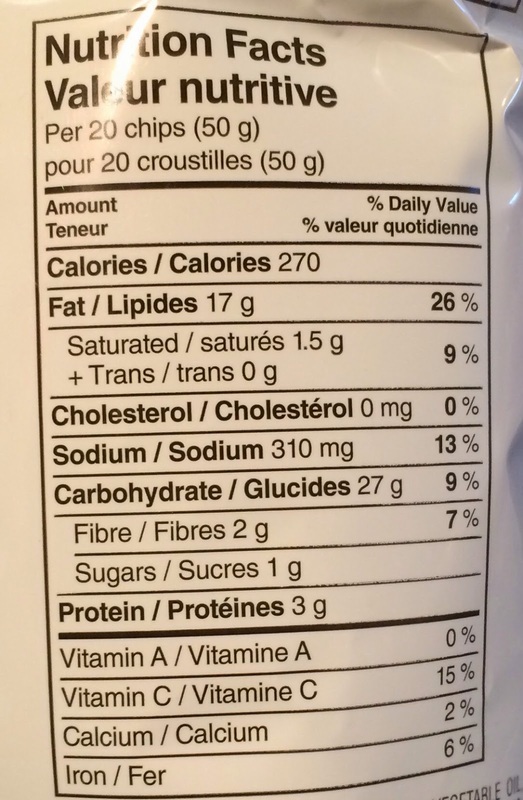 It's a wonder we even eat anything other than steak in the first place! 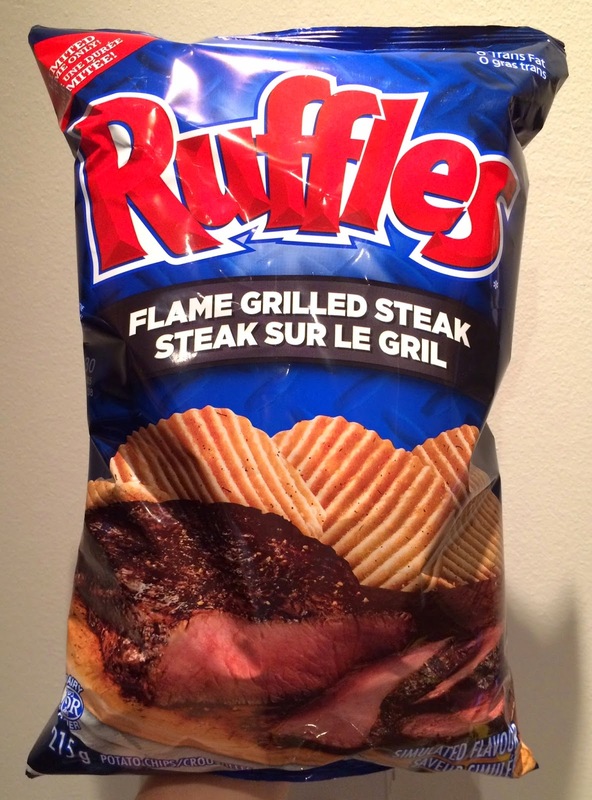 New Ruffles Flame Grilled Steak flavoured potato chips brings you the mouthwatering taste of a backyard grilled steak. 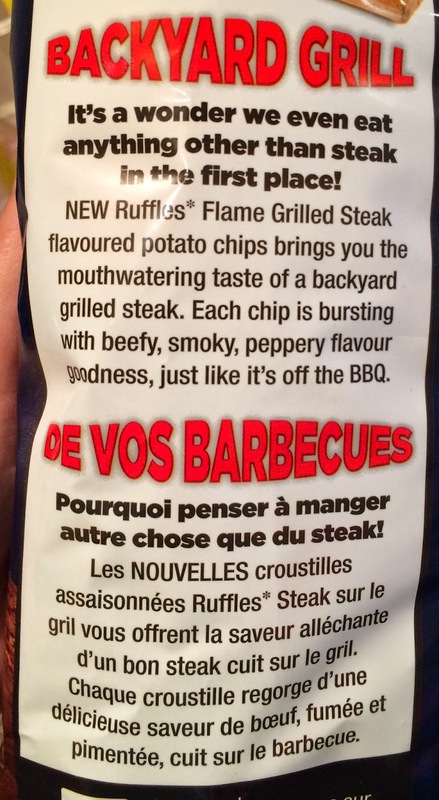 Each chip is bursting with beefy, smoky, peppery flavour goodness, just like it's off the BBQ. 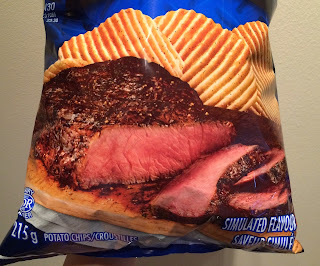 When I opened the bag, beefy and oniony flavor came out first with some smokiness. 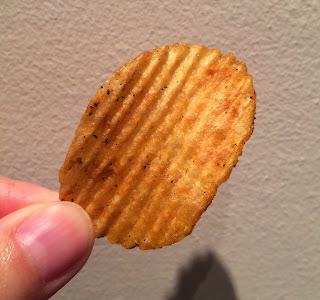 Each chip had fine waves and covered with seasoning powders. Besides beef and onion flavor, I tasted garlic when I ate. 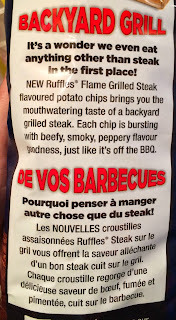 It had a similar smoky flavor to BBQ, and the onion flavor made me think of peppery sauteed onions served with steaks. 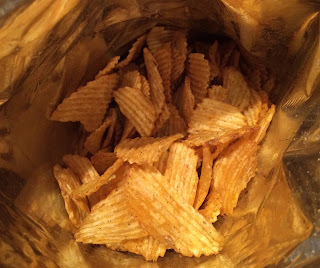 It also had sweet flavor like BBQ sauce and butter added richness a bit. 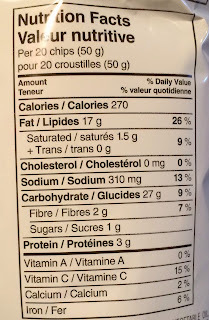 The chips tasted like exactly what I imagined when I opened the bag and smelled the scent. It had strong smoky flavor and this flavor is either loved or hated. First I thought it's a bit weird but gradually I got used to it and started liking it.